Today I have a card that I thought would be a lovely encouragement card. I was planning to send this card to someone I know that has been dealing with a cruddy deal for quite a while now and I just wanted to let this person know I was thinking of them, and that every day (that was a hint) is an accomplishment. However, if you watch this video I will explain why I cannot send this card, and why this card had me so frustrated!! 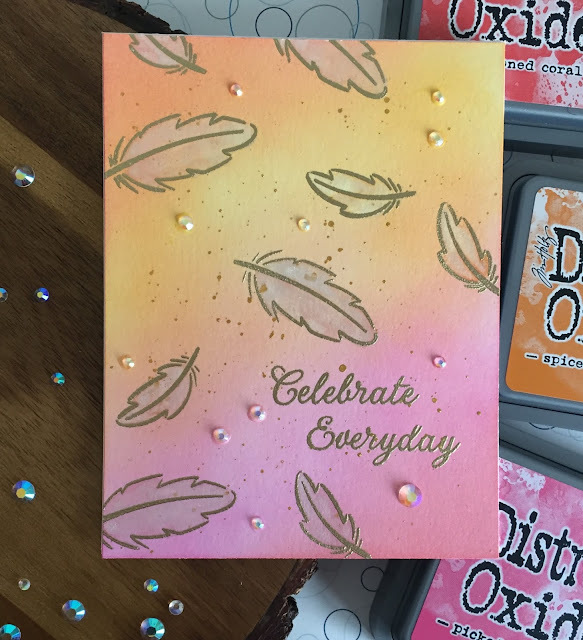 Check out the video for the full tutorial, the list of Distress Oxide Inks I used to create this background and where the inspiration came from. 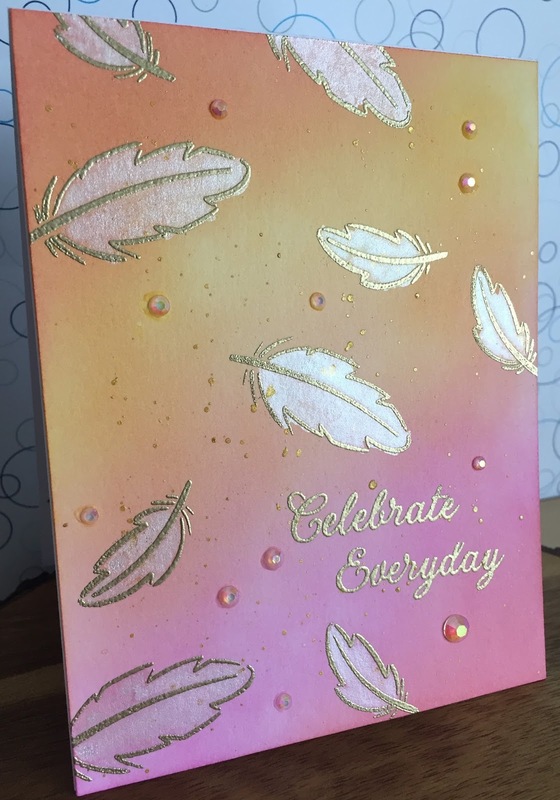 This is also the first card where I got to use my new Iridescent Crystals from Studio Katia, and let me tell you I LOOOOOVE them!! I'm so stoked I was able to capture the shine on this card in a picture. I'm definitely going to be doing this technique again! I hope you like today's card (and video tutorial) and are inspired to create something of your own. If you haven't already, please follow me on the right side bar, over on Facebook and on YouTube. Drop me a line in the comments section below and let me know what you think.